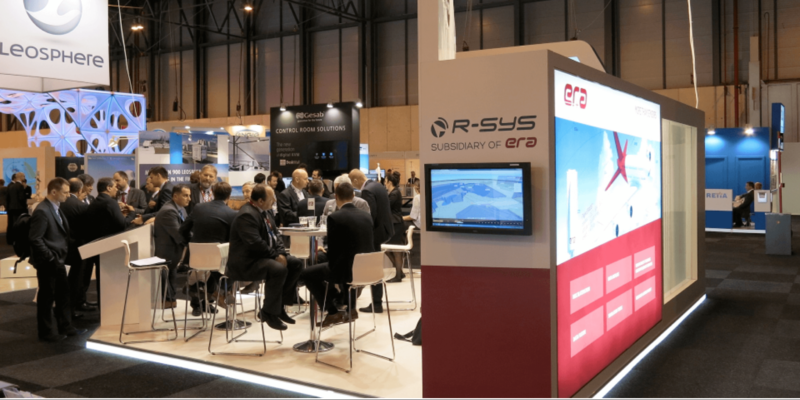 R-SYS, Ltd. together with its mother company ERA exhibited its proven technologies for aircraft surveillance and air traffic management and their most recent innovations at the World ATM Congress – an international exhibition and conference held at IFEMA trade park in Madrid, Spain. This event, organized by CANSO (the Civil Air Navigation Services Organisation), was held from the 7th to the 9th of March 2017. According official CANSO information there was a record-breaking 230 exhibitors and 7,757 visitors. R-SYS sales and product managers along with the experts from ERA took advantage of the presence of a number of important partners as well as potential customers to negotiate business issues. They presented the references of operational installations of ERA composite multilateration and ADS-B systems as well as novelties in R-SYS portfolio suitable for ATM such as AISweb – Net Briefing system and Record & Replay Investigator for ANSP.